Leicester have signed forward Kelechi Iheanacho from Manchester City. Sky Sports News understands the Foxes have paid £25m for the 20-year-old, who has penned a five-year deal at the King Power. He becomes manager Craig Shakespeare’s fourth major signing of the summer following the arrivals of Harry Maguire, Vicente Iborra and Eldin Jakupovic. Sky Sports News understands City have the option to buy the Nigeria international back for £50m. “It feels good and I’m happy to be part of this team. I know the ambition of the team and speaking with the manager, he let me know what I need to do – to help the team achieve what they want. I was convinced and I’m happy to be here,” Iheanacho told LCFC TV. Shakespeare added: “It’s a great signing for us. Kelechi is an enormously talented player that has shown a huge amount of promise at every level in which he’s played. Iheanacho featured 28 times for City last season under Pep Guardiola, scoring seven goals. However, he made just one start for City in 2017, with that appearance coming back on January 2 in the 2-1 win over Burnley. 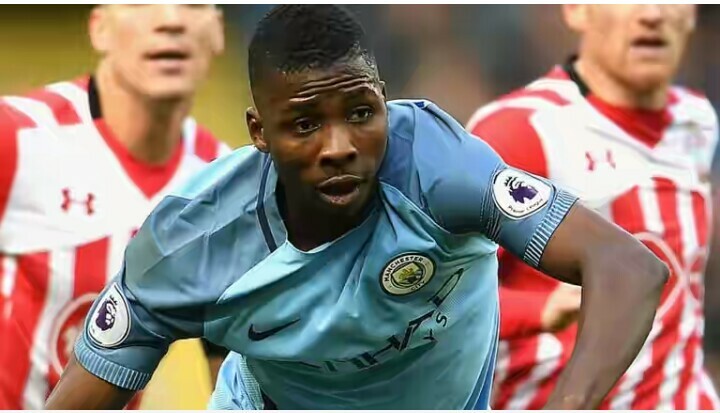 Iheanacho joined City’s academy in 2014 and made his first-team debut in the 2-0 victory over Watford in August 2015. He scored his first City goal on his second appearance for the club and went on to net a further 13 goals during the 2015/16 campaign, which included a hat-trick against Aston Villa in the FA Cup.